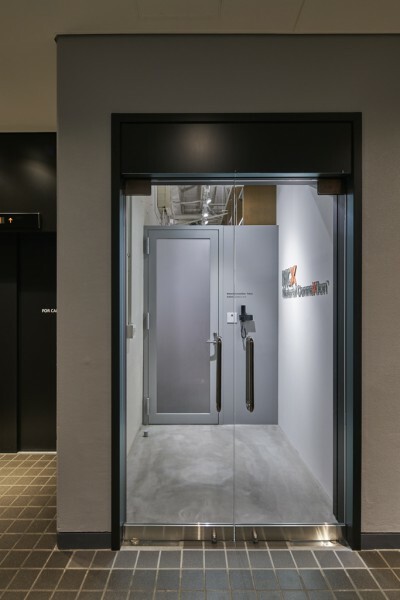 We performed the design for the relocated office of Material ConneXion Tokyo, which has a library of advanced materials. 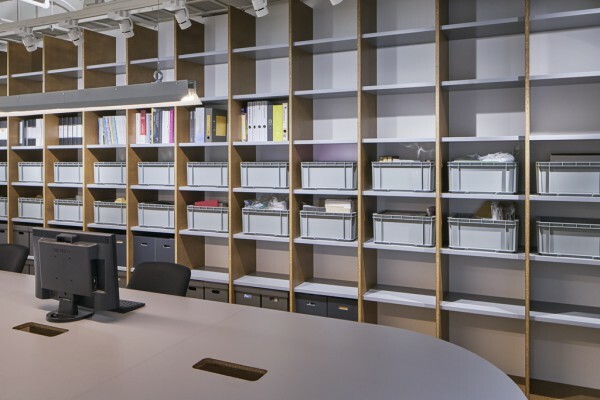 The site is located on the first floor basement of the AXIS building, and it was originally used as a storage room with a width of 4.6m, a depth of 14.3m, and a ceiling height of over 4m, making it a long and narrow but high space. To alleviate the cooped up feeling of the narrow basement space, we created a visual sense of width by raising the height of the floor by at most 645mm like a staircase as one goes further inside. One wall surface was entirely made into a shelf wall as high as the ceiling to allow for storage of materials and documents. 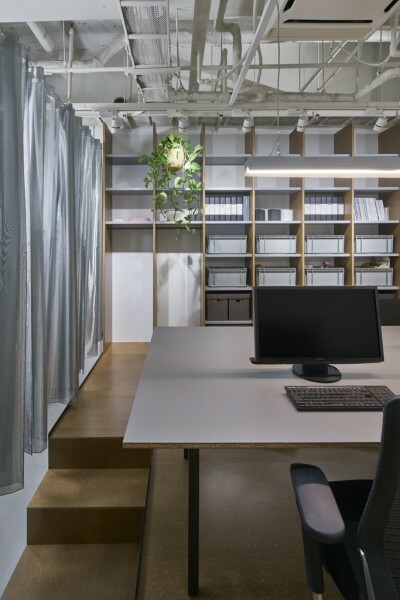 The interior of the work area serves as a space for things like a kitchen and copier, and one side is partitioned off by a curtain of evaporated stainless steel. 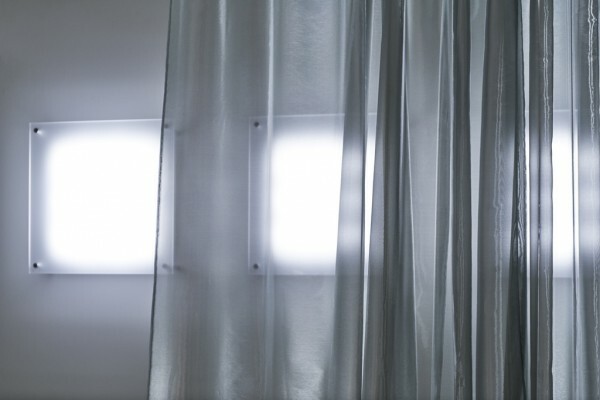 The existing square-shaped ceiling lighting was relocated to the wall, creating an effect similar to that of window light coming through a curtain. The long work table in the center serves as an elevated counter meeting space on one side due to the height of the floor. A white board was arranged around this and a pinup board designed to look like the sky outside a window by using "color polymock" (color polyethylene foam). By using particle board normally used as a foundation material for the background, our aim was to enliven the space with the diverse materials handled by Material ConneXion as finishing materials.